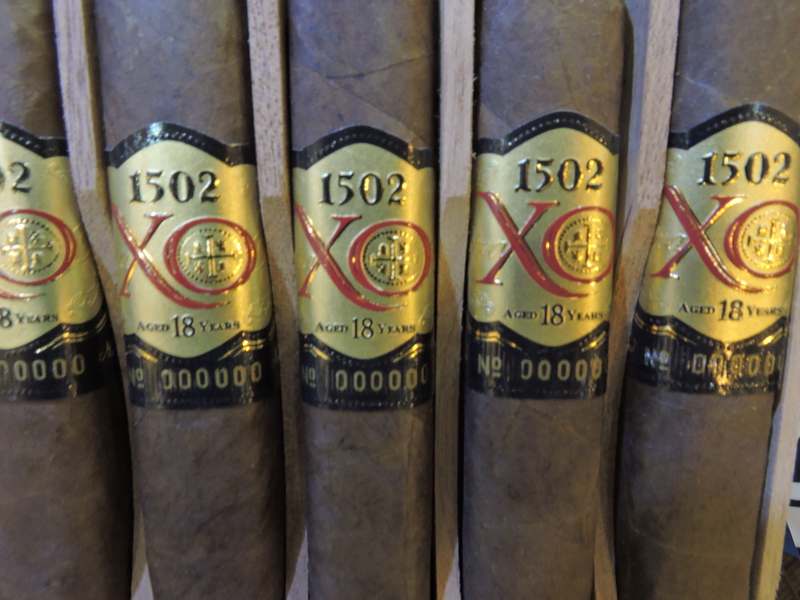 1502 Cigars has announced that the 1502 XO Salomon is now available. The 1502 XO line was first showcased in 2015. The distinguishing characteristic of this blend is that it incorporates 18-year-old tobacco into the blend. The cigar first hit the market in March 2016 in a box-pressed Toro. Plans were to unveil a different limited-production vitola into the market each year. However, the Deeming Regulations put in place by the U.S. Food and Drug Administration (FDA) threw a monkey-wrench into those plans. Following the issuance of the FDA Deeming Regulations, company owner Enrique Sánchez Icaza made a decision to showcase all of the planned vitolas for the 1502 XO line at the 2016 IPCPR Trade Show and do a limited introduction to market. At this year’s IPCPR, 1502 Cigars showcased the 1502 XO box-pressed Churchill. The 1502 XO Salomon is the third size to be prominently showcased. Other than the 18-year-old tobacco, Sanchez isn’t tipping his hat on the blend components. The Salomon measures 7 x 58 and will be available in 4-count boxes. Pricing is set at $22.00 per cigar.